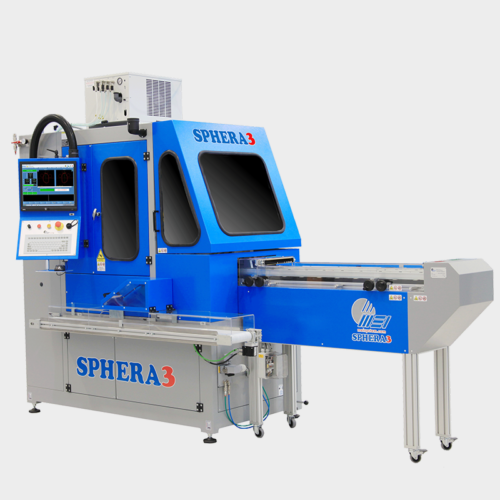 Excellent quality, high productivity, reduced maintenance costs, ease of use and reliability: Sphera2 Plus XL is the ideal machine to cut plano lenses and masks of any plastic material. 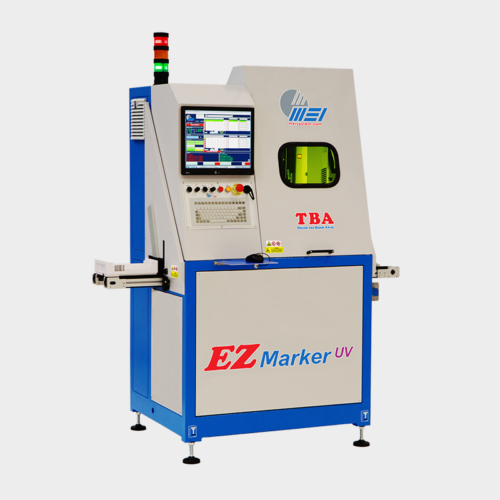 Its many years of use on the ground in the optical industry combined with its automation capacity have made this product the lens cutter of choice for all high volume laboratories around the globe. Ideal for sunglass lenses, demonstration lenses, and masks. Capable of multiple processes: beveling, rimless edging, holes, and complex shapes. Two lenses are cut simultaneously in one machining cycle. The next lenses can be of a different shape or material than the previous. 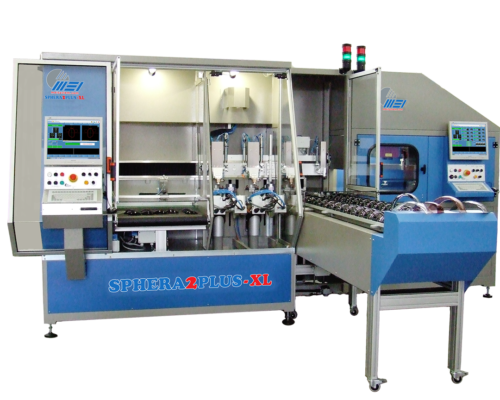 All operations completely automated: lenses are loaded, processed, and unloaded onto an included cart. Cycle duration and productivity unrivaled by any other machine in the industry. 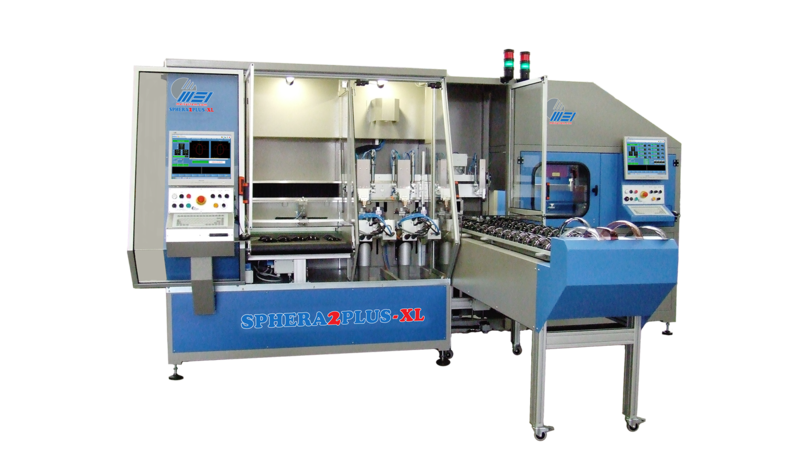 The machine can be continuously fed to work without interruptions. 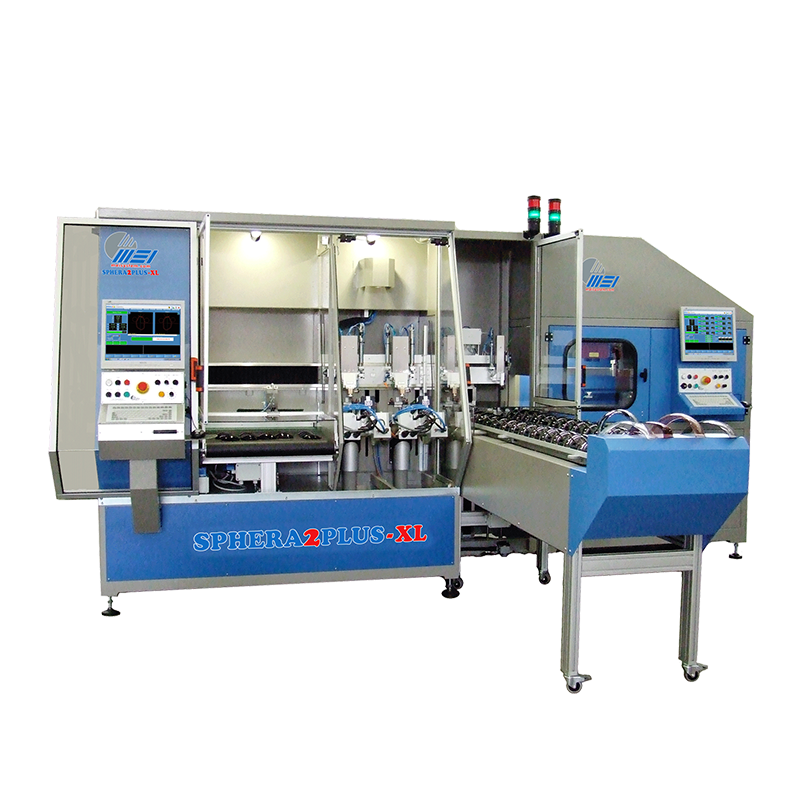 A device positioned at the entrance to the machine correctly orients the lenses to ensure proper positioning during cutting.